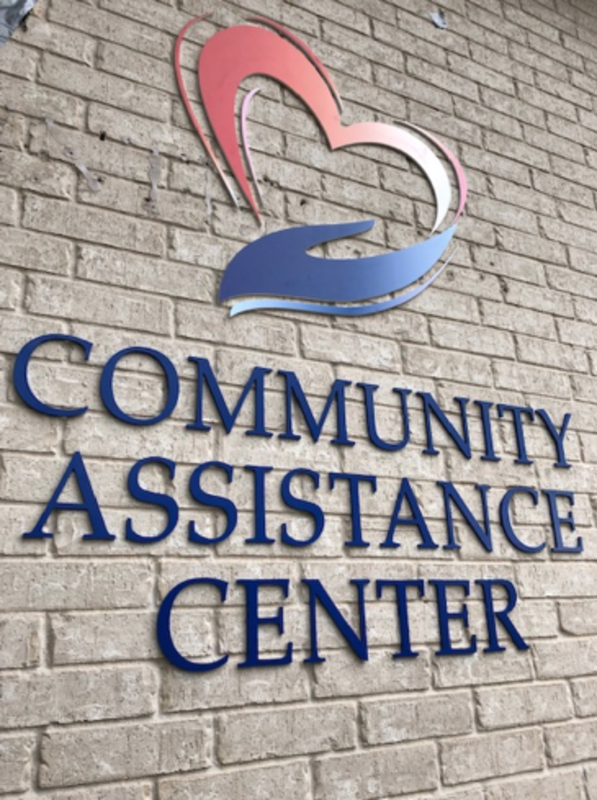 MONTGOMERY COUNTY, TX – Crisis Assistance Center is now Community Assistance Center (CAC), serving Montgomery County, Texas. 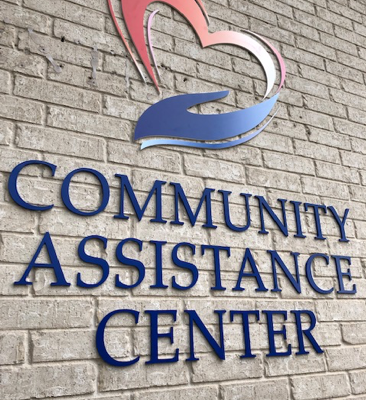 The new Community Assistance Center name and logo on the front of the organization’s headquarters, located at 1022 McCall Avenue, Conroe, Texas 77301. 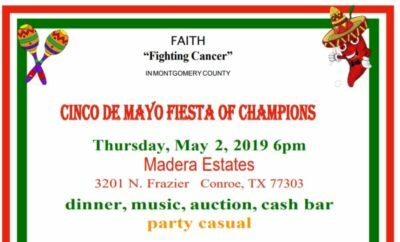 “We need to thank so many people that have helped us in the process – Simon Printing, Graphic Design FX, Taylorized PR, TWHS DECA, Signs, Etc; City of Conroe, and Big Frog,” said Landers. Community Assistance Center is a nonprofit agency committed to providing quality social service programs to those in crisis throughout all of Montgomery County. The mission of Community Assistance Center is providing resources to meet basic needs and improve the quality of life for those in need living in Montgomery County. Strengthened through collaboration with community and faith partners, the center honors and restores the dignity of individuals and families to attain greater levels of responsibility and financial independence, by delivering assistance and life lasting strategic solutions. Community Assistance Center is focused on building stronger client relationships and assisting families in establishing attainable goals, accessing community resources, and gaining valuable skills pertinent to their success. Case management and support go beyond the short term and provide ongoing community resources to establish a stronger foundation to lift families up towards self-sufficiency. For more information about Community Assistance Center, please call 936-539-1096 or visit www.cac-mctx.org.